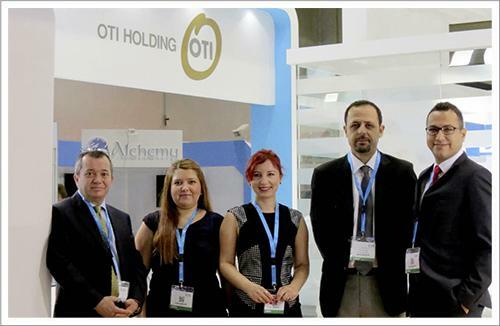 OtiHolding - OTI Holding participated in Arabian Travel Market (ATM) with its booth under its main brand Coral Travel for the first time. OTI Holding participated in Arabian Travel Market (ATM) with its booth under its main brand Coral Travel for the first time. Organized for 21st time between 5th and 8th May, Arabian Travel Market was held in Dubai with the participation of OTI Holding. Arabian Travel Market Exhibition was held in Dubai International Convention and Exhibition Centre and regarded as the biggest exhibition of the last 20 years. OTI Holding attended the event with ODEON Tours Ground Services UAE, Royal Flight, Sunmar and OTIUM Hotels International under its main brand Coral Travel. OTI Holding made one-to-one discussions with total 260 hotels and 45 suppliers including chain hotels. Visitors and destination representatives took an interest the fact that Coral Travel, which has been active in the Russian market since 1994, launched its own agency in United Arab Emirates. 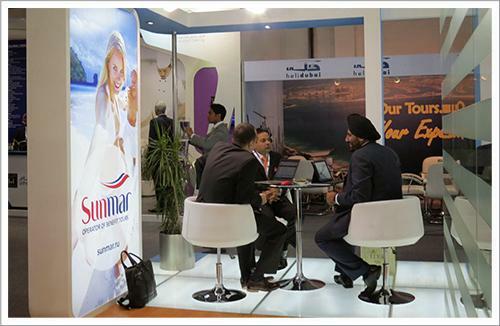 Regarded as the most important tourism and travel exhibition of the Middle East, Arabian Travel Market Exhibition was a great opportunity for more than 17.500 visitors to meet with 2.500 tour operators, airline companies, travel agencies, cruise operators and car rental companies coming from 6 continents of the world.